My husband and I, tried to find something original to do. 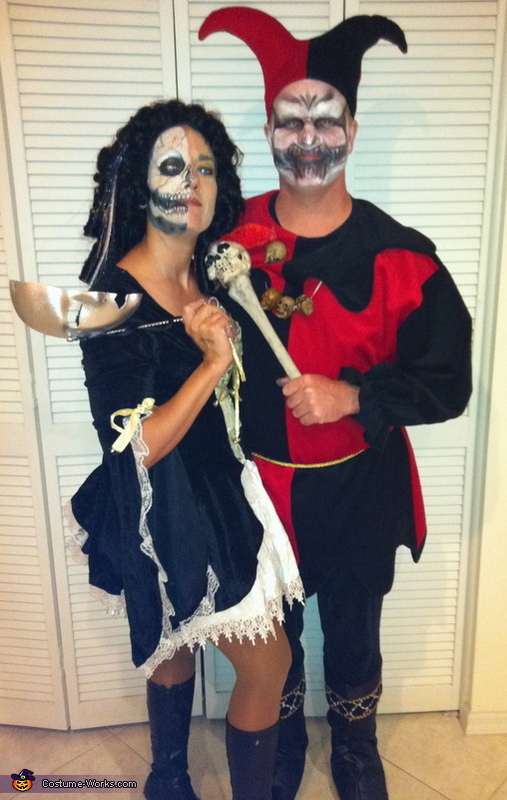 Used face makeup, colored contacts and pieced together dress/outfit from pirate and renaissance costumes. Made the jesters scepter by gluing skull to femur from separate toys.